Itron may deploy 10 million smart meters for the Spanish utility giant. 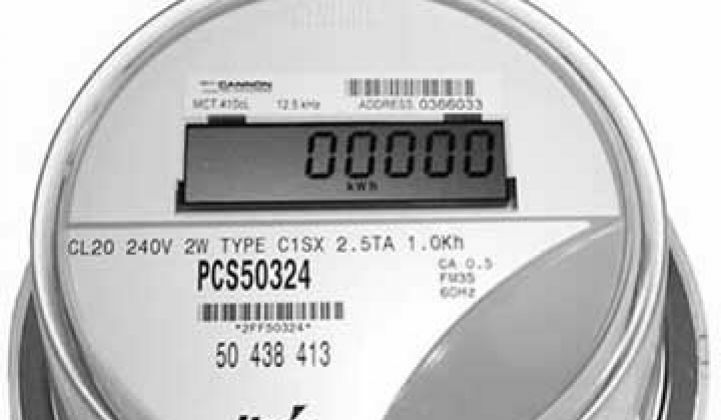 The Spanish utility Iberdrola has selected meter giant Itron for the first phase of its smart meter deployment. Itron will responsible for the entire system, from meter data management software to the meter hardware. The initial rollout of 100,000 meters in Castellón, Spain in 2010 could expand to 10 million meters across the country. The meters will be interoperable with the PRIME telecommunications protocol, Iberdrola's open standards power line communications standard. "Itron is delighted that its industry expertise and project experience will help lay the foundation for a state-of-the-art smart metering architecture in Spain," Marcel Regnier, Itron International chief operating officer, said in a statement. Iberdrola is one of the largest wind owners in the world, not to mention being one of the largest utilities in the world. Globally the company generates 40,000 MW of electricity, 6,500 of which are comprised of renewables. Regnier described Itron's system as "future-proof" that will allow Iberdrola a seamless transition to a full-scale deployment. The project, if it moves beyond the first phase, would be one of the largest smart metering initiatives in Europe.